D Plan with 2 bedrooms in a luxurious property centrally located in the heart of River Oaks. 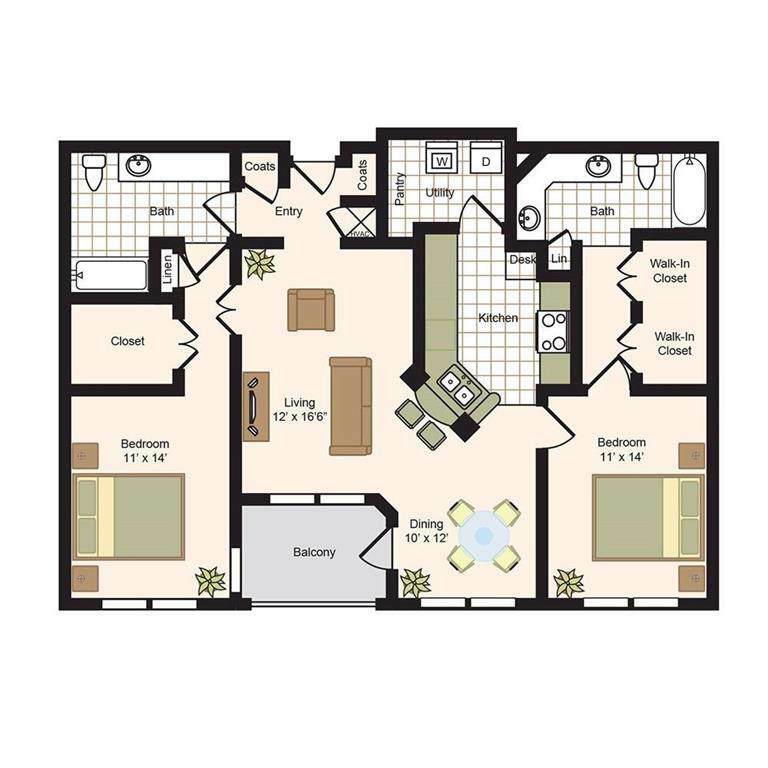 The D plan is a spacious plan featuring an open living and dining room with access to the large balcony. The gourmet kitchen features a side-by-side refrigerator, ceramic tile flooring and custom wood cabinetry. 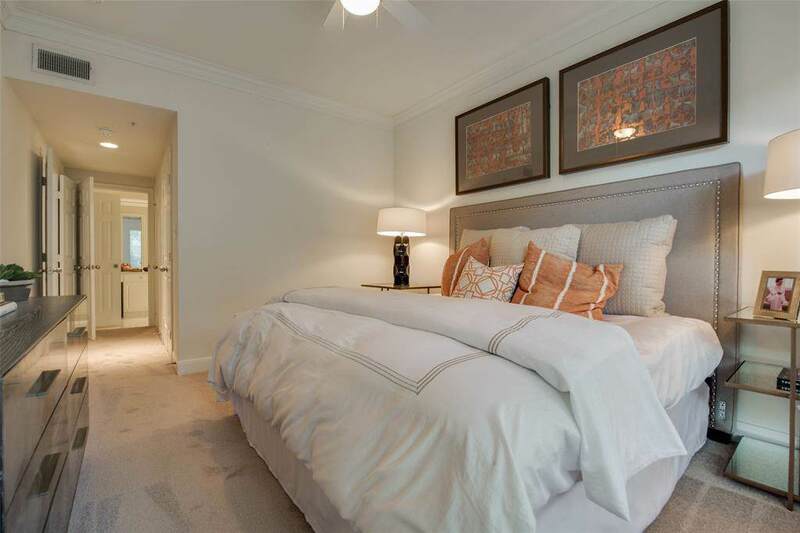 The spacious bedrooms can accommodate a king size bed with plush carpeting and an oversized walk-in closets. The master bathrooms includes dual sinks, an oversized garden tub with a shower and plenty of storage. 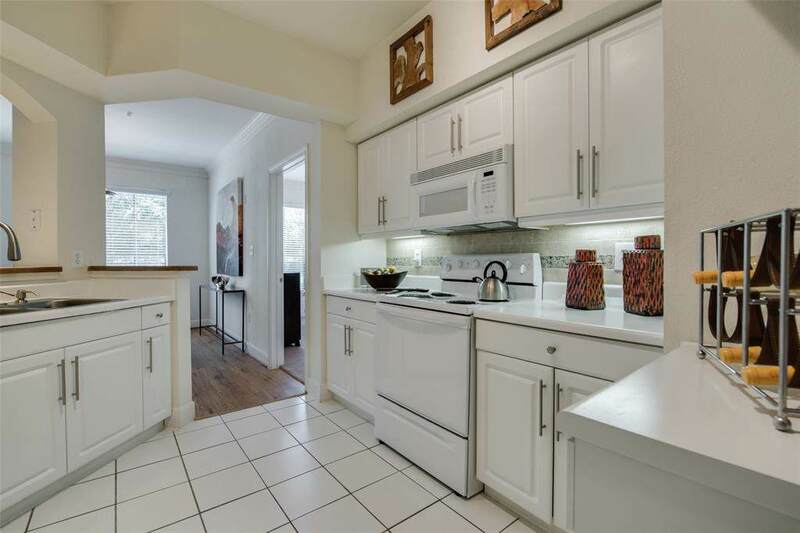 Upgraded units with plank flooring and stainless steel appliances are also available on property. This impressive community includes a 24 hour gate attendant, a resort style pool and lap pool, state-of-the-art fitness center, executive business center, and resident club room. 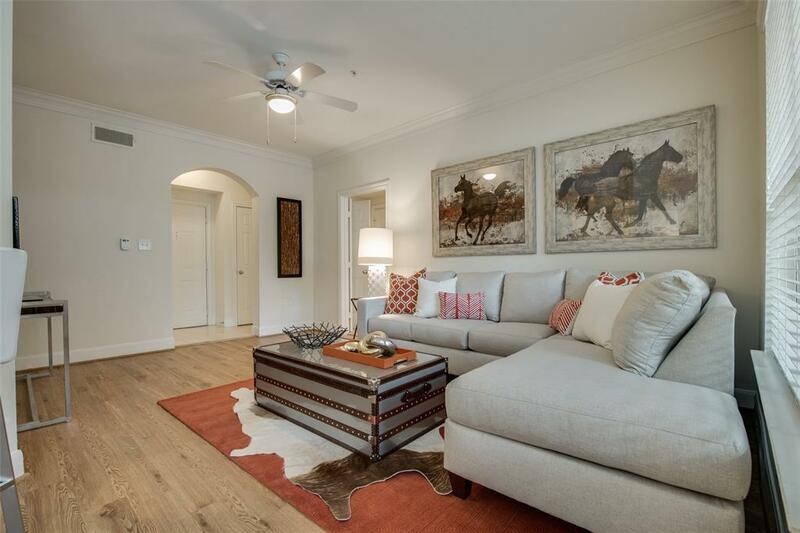 Ideally located near River Oaks District, Highland Village and River Oaks Country Club minutes from the Galleria and Downtown. Cats only property! Pricing & availability subject to change daily.